Challenger makes a perfect landing at the end of the National Anthem prior to game 3 of the 2017 World Series between the Houston Astros and the LA Dodgers. 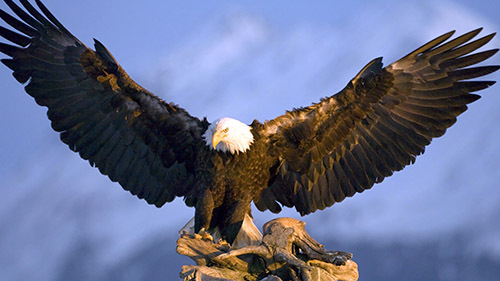 ©2017 American Eagle Foundation. 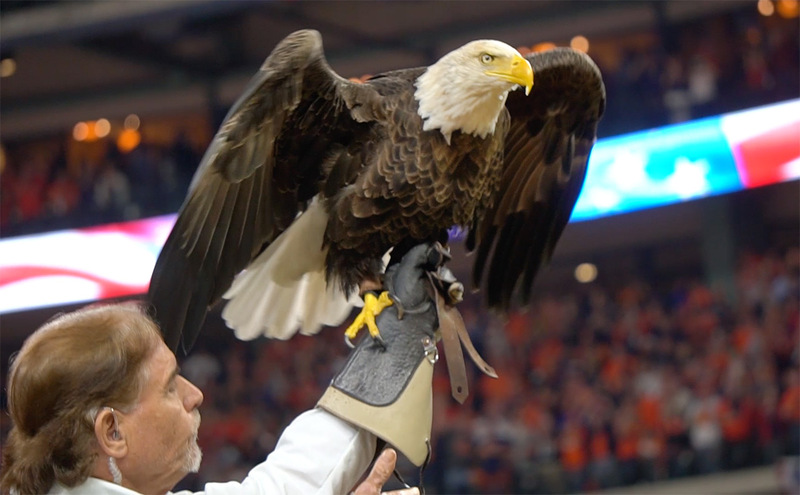 In his 11th appearance at a World Series game, Bald Eagle Challenger rocked the house with a perfect flight during the National Anthem. As the Houston Astros and LA Dodgers lined up along the sidelines, a joint service color guard and a field-sized American Flag provided the perfect backdrop for American’s Living Symbol of Freedom. Soaring above the flag, Challenger’s flight honored the brave servicemen and women of our Armed Forces, along with First Responders, who protect and defend our country at home and abroad. Master Sergeant Promise Harris of the Texas Air National Guard performed the National Anthem, which concluded with a pitching mound landing by Challenger the Eagle. Come along with Challenger & AEF staff as they journeyed to Houston, practiced the day before, and completed the mission on Game Day.